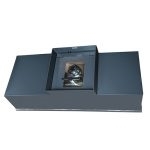 We offer a large selection of high-quality safes including floor safes. When you purchase a high security hidden floor safe, expect to receive a product with a wealth of features designed to make your life easier. Unlike traditional safes, these devices can easily be hidden around your home or office, adding an extra layer of protection against burglars. We have many floor safes available, all of which come with exciting features like sliding steel shelves, drill resistant hard plating, and much more. Whether you need to store priceless jewelry or sensitive documents, no one will be able to crack these safes. Learn more about any of our hidden floor safes by browsing our online catalog. For your convenience, we have provided a full list of specifications for each of our safes on their individual product pages. If you have any questions, give us a call today to speak with a member of Value Safes. The Hollon B1500 Safe is a highly secure B-rated floor safe. With many features that add extra security, this safe is equipped with a relocking device, dead bar, drill resistant hard plate, and UL listed group 2 lock. All your valuables will be housed within the secure thick steel construction body of the safe. This safe weighs 86 lbs. and is perfect for your home or office. It is sure to provide the safety you have been looking for in a floor safe. Protect your valuables with the Hollon B2500 B-rated floor safe. This safe delivers with its many security features, including a relocking device, UL listed group 2 lock, steel locking bolts, and a drill resistant hardplate. It also contains 5 chrome plated locking bolts, as well as a full length dead bar. The entire safe is constructed of thick body steel, and weighs about 86 lbs. This safe is great for the home or office and will protect all your valuables from possible intrusion. The B3500 floor safe from Hollon is ideal for those requiring a concealed safe. Once installed in concrete, it can be covered with an area rug or even carpet, making it almost impossible to find. You’d need a jackhammer to pry it loose from its foundation! This safe is the perfect high-security safe, particularly for safeguarding items like gold coins, jewelry, and paperwork.